Stock market is an unpredictable territory. Moreover, it is highly technical. Awareness of the basic terms and stock market jargon saves you from extra efforts and uninvited risks due to wrong decisions while investing. 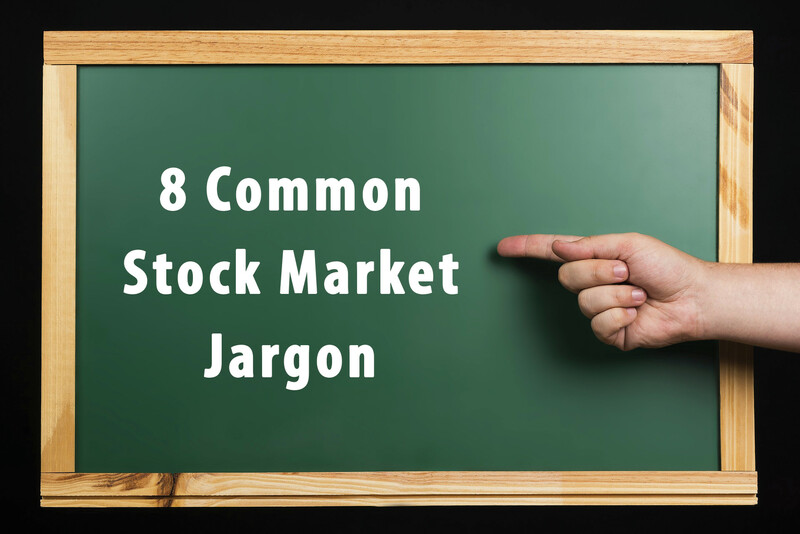 You need to be well versed with basic concepts and we will help you understand some of the most commonly used stock market jargon you need to know before you trade or invest in the ever changing stock markets. This little guide will help you sail through the stock market smoothly. Long Position – ‘Long position’ or ‘going long’ basically refers to the direction of your investments. If in case you are buying or want to buy shares from say Biocon, so you will be long on Biocon or plan to go long on Biocon. Same goes if you buy or intend to buy Nifty futures. Then you will be said to have a long position on Nifty as you’re expecting some kind of returns and intend to see a higher index value. Short Position – When it comes to stock markets, you can also sell first and buy afterward. This practice is known as shorting. Let us consider an example here. Suppose if you sell a stock for 100 INR, you can also buy it afterward for 95 INR. In this case, you will be making a profit of 5 INR. The only thing here is that the order of transaction undergoes a reversal. But you do get to earn profits nevertheless. Square off – Square off is referred to the instance when you close an existing market position. OHLC – OHLC is a term used to denote the stock price and is short for Open, High, Low, and Close. Open refers to the price at which the stock opens for the said working day, high is the highest price at which the stock will be trading on that day, low is the lowest price at which the stock trades on the said working day, and the close is the closing price of the stock on that day. Here’s an example: the OHLC of TCS on June 2, 2016 was recorded as Rs 2600, Rs 2650, Rs 2598 and Rs 2651. Volume – Volumes are the most important aspect of the stock market. The day trading market is entirely a volume based market especially when it comes to active stocks. Volumes denote the number of shares traded on the stock exchange. Let us consider an example: suppose if I buy 200 shares from you and 90 shares from someone else, then the recorded volume will be 290. Bull Market (Bullish) – This term denotes the investor’s expectations from the stocks. In case if you are expecting that the stock prices will soar, you are said to be bullish on the stock prices. Looking it it from a wider perspective, if the stock market index is soaring at a particular period of time, it is known as the bull market in technical terms. Bear Market (Bearish) – This term is the opposite of Bullish. This term is used when you are expecting that the stock market price to drop down then you are known to be bearish on the stock prices. If we look at it from a wider perspective, if the overall stock market is going down at a particular span of time, it is known as the bear market. Face Value – Face value (FV) also known as par value of a stock denotes the fixed denominations that a share has. This is an important part of a share in terms of corporate action. When dividends, stocks and shares are divided in a company, it is the face value that is considered primarily. Stock splits are also issued keeping the face value of the stock in consideration. If we take an example, of the Face Value of Infosys comes to 5, and if their annual dividend amounts to 63 INR, then the dividend paid to the shareholder is 1260 per cent (63 divided by 5). Keep these terms in mind so that you can secure big wins at the stock market and ensure financial gains with zero risks or collateral damage. Astrology in Trading- Does it Really Work?